Ramaphosa lauds ZCC, laments infrastructure backlog in education, health - SABC News - Breaking news, special reports, world, business, sport coverage of all South African current events. Africa's news leader. 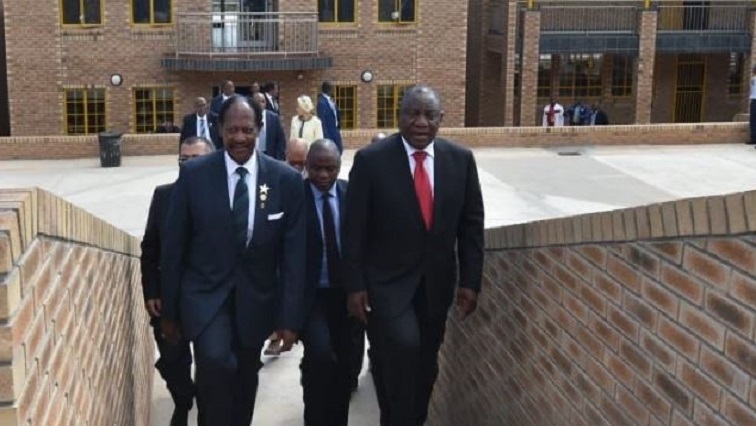 President Cyril Ramaphosa and ZCC leader Bishop Barnabas Lekganyane opened the new refurbished Marobathota High School and Evelyn Lekganyane Clinic in Moria on Wednesday. This entry was posted on 20 Mar 2019,10:01PM at 10:01 PM and is filed under South Africa, News, Homepage Latest Stories Slider. You can follow any responses to this entry through the RSS 2.0 feed. Both comments and pings are currently closed.